Although Mageta Island is surrounded by Lake Victoria, there is a huge issue with water access. The interior of the island is extremely hot, dry and dusty. 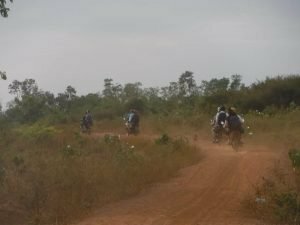 As we drive along on ‘Picky-Pickies’ (motorbikes), we get so dirty that our drivers dust us off when we arrive at our destination. 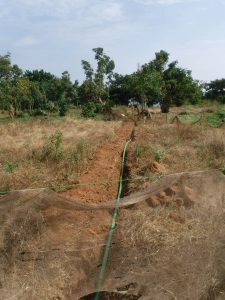 MCOH has been raising money to supply pipelines on Mageta Island. 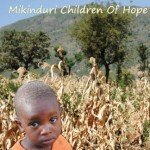 We came here to help install 2 pipelines, one to a Health Centre and one to a School. Liz, director of Beyond Limitations, did an amazing job of mobilizing the community. The trenches at both locations were dug and ready for pipe even before we arrived. 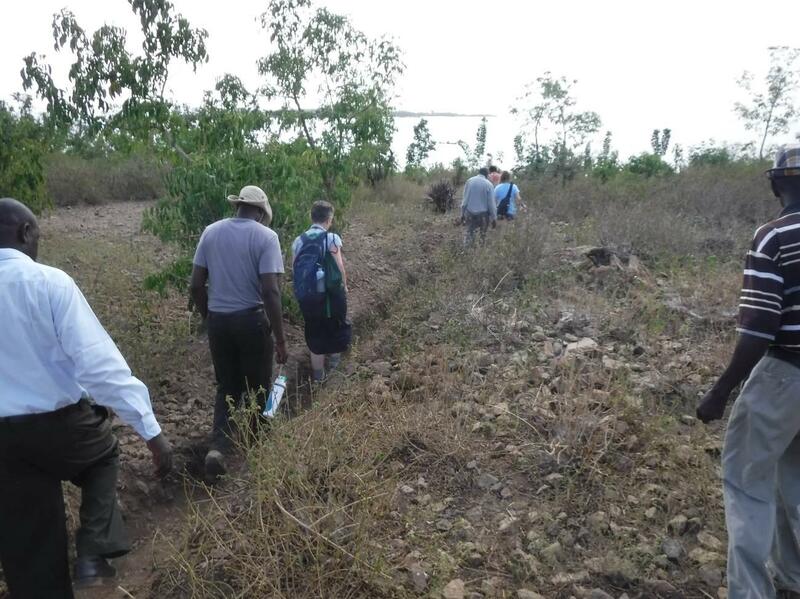 It would have been hard digging with the rocky terrain and stinging plants. At one location is was so bad that we walked IN the trench to go to the Lake. All of the supplies needed to build the pipeline arrived at the Island the same time we did. 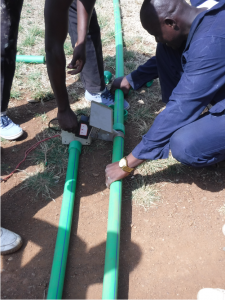 You can imagine our surprise when we finished our ‘Meet and Greet’ with the Health Centre staff and volunteers to see the plumber already fusing the pieces of pipe together. 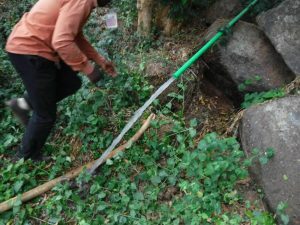 When we arrived the next morning to help in whatever way we could, the pipe was already just a few feet away from the lake. 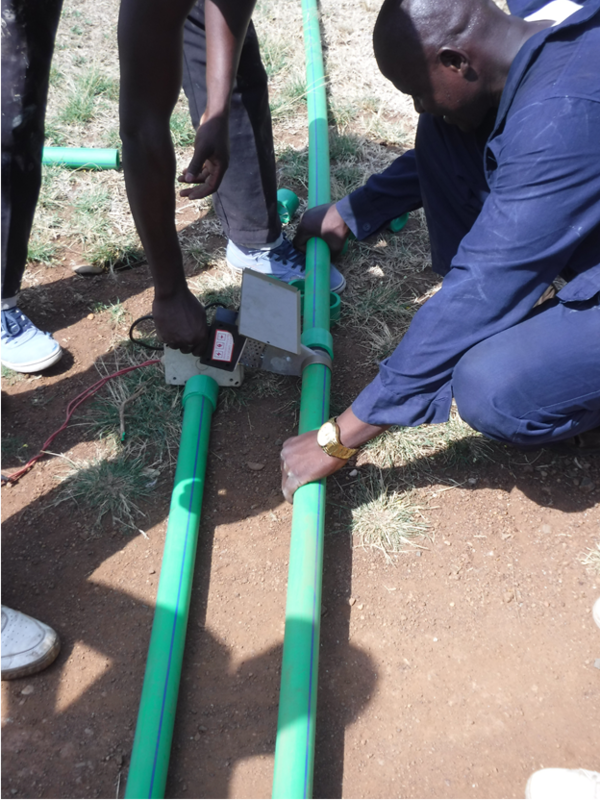 Before the line could be completed, the pump needed to be tested. When the pump was turned on the water flow was so strong that the attachment used to connect it to the pipe sprayed water and could not withstand the force. When the attachment came off the water flowed back down the pipe and we were amazed at the amount of water that was pushed through in about 10 seconds. 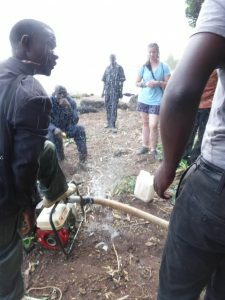 The pump was good and soon after the permanent connection was completed. 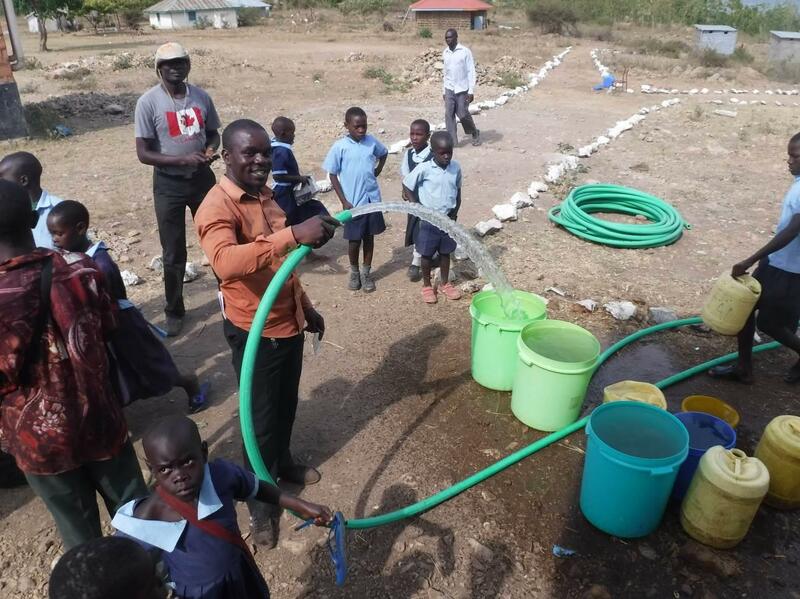 Water was pumped to the Health Centre into giant 10,000 litre tanks. It was amazing to see the water pour out of the tap. 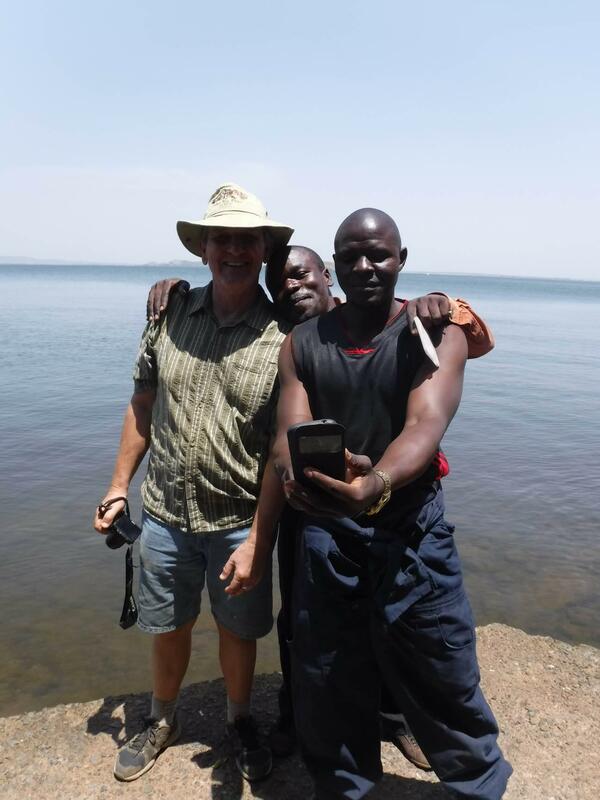 After a quick Selfie with George and Peter (Agriculture Specialist for Beyond Limitations), our hard working Plumber moved on to start work on the Pipeline for the School. 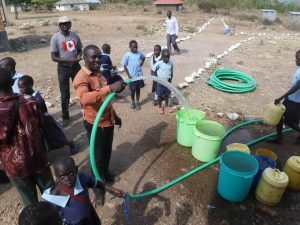 At the School, within 24 hours water was pumping. 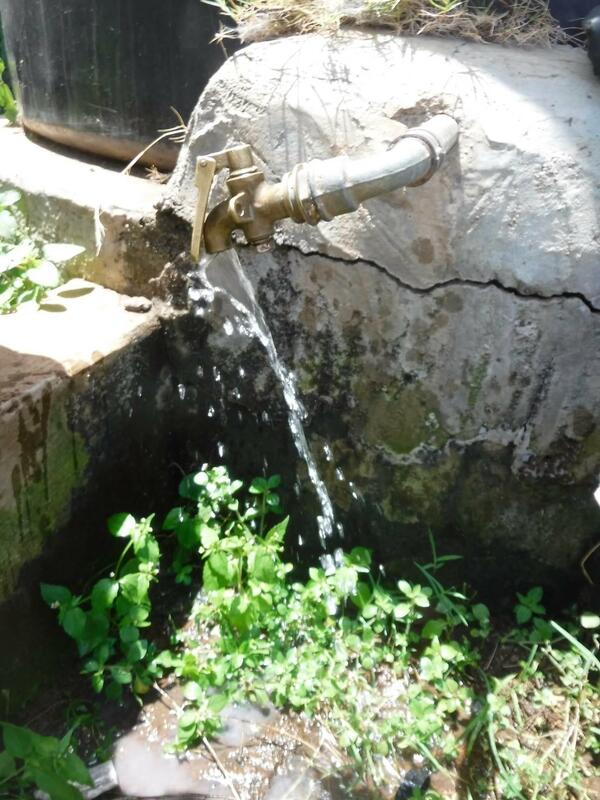 As water gushed through the pipe our hearts were filled with joy and excitement. Water containers were quickly filled before the pump was turned off to complete the permanent connection. 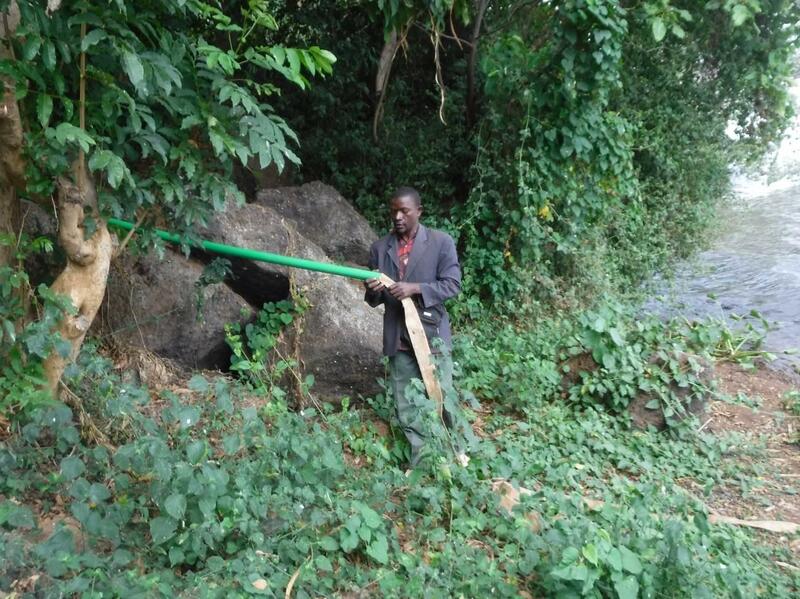 Work still being done is connecting the water directly to areas of the health centre like the Maternity Ward and Lab. We are hoping this will be completed before we leave, but if not we have full faith in our Kenyan Team to make sure it is followed through.